UPDATED: Research in Motion announced its fiscal third quarter results on Thursday (PDF), showing quarterly growth in revenues and handset sales, but continued dismal tablet numbers. As Apple, Amazon and others are on track to sell millions of tablets this quarter, RIM(s rimm) says it shipped only 150,000 PlayBooks in the past three months; note that shipped doesn’t equal sold. The results followed a provision from two weeks ago when RIM said it would take a $485 million pre-tax charge related to its PlayBook inventory. But the future continues to look murky as the company’s guidance suggests that revenues and smartphone shipments will be lower in the next quarter, which includes the holiday period. RIM figures revenues between $4.6-$4.9 billion with smartphone shipments of 11 to 12 million handets. The company says that 79 percent of its revenue this quarter came from hardware sales; not services and software. If you’re not growing the segment that makes up the bulk of your revenue stream, I’d say there’s a problem; especially when iOS and Android hardware is selling like hotcakes. The PlayBook could have helped, but if anything has made things worse due to negative publicity for an unfinished product that isn’t selling well in what’s considered one of the hottest market segments. At this point, the March results next year could be a make or break time for RIM. By then, we’ll know a few things: will be BlackBerry 10 be enough to help sell more BlackBerry handsets when it arrives around mid-year; if RIM delivers its PlayBook software update in time; and if so, can it turn a tablet loser into a competitor. UPDATE: RIM said its BlackBerry 10 phones will not be available until the second half of 2012 because it is waiting on the availability of dual-core LTE chipsets that will power their new phones. This is just going to prolong RIM’s turnaround. Sales of BlackBerry 7 devices are going to continue to drop off as people anticipate the next generation phones from RIM. But the longer it takes the company to put out those BB10 phones, the more it risks slumping unit sales and shrinking market share. RIM said it hoped to launch a big advertising blitz in 2012 to help drive sales. And co-CEO Jim Balsillie said he and fellow CEO Mike Lazaridis would reduce their salary to $1 a year. These are nice gestures and plans but the real issue is that RIM is not moving fast enough in a market that is zooming by. By the second half of 2012, RIM will be facing an even more advanced iPhone and a slew of Android phones even more more formidable than the Galaxy Nexus. And Microsoft and Nokia are going to be cranking up their efforts to make Windows Phone 7 a credible third horse in this race. RIM has strange culture and political environment. In RIM if a new hired person figure out major problem and introduce efficient approach, both manager and his buddy group member will proof their wrong approach works. just like someone point out driving a car is right way, pushing a car is wrong way, then both manager and his buddy group member will hate you, and proof that 3 person can also move the car by pushing it. cheating email will be sent to some vice president, saying like: see, the car moving, pushing a car is a natural part of the process, in order to deny contribution of introduce skill of drive a car, thet deny merit of driving a car. One word: Doomed. Apple is eating their lunch in the business sector where RIM used to dominate, and Android will kill them in the consumer segment. They’re going to get squeezed from both ends – I give it 2-3 years before they’re completely out of business. Honestly, I’m a little shocked that they are in the green at all. Better make an impressive move soon! In agreement with the other posters, how have the share holders put up with two CEOs that haven’t shown any ability to “get it”? They’re saying the best case scenario for BB10 is the beginning of the Q3 2012. Given the history of the Playbook update that should have brought mail and calendar, I would not be surprised if BB10 wouldn’t be released until Q4. I’m glad they are still making money so they may be able to stay in the game (competition is good), but they have some serious organizational issues at the top that need to be addressed. The fact that the Playbook was released without any native messaging capabilities is a clear indication that the decision makers don’t have a clue. I feel bad for the employees of RIM that have to work under that structure. How do RIM’s CEOs still have jobs?!? These guys just don’t get it. It’s been close to a year now since they showed off the PlayBook at CES. 12 months – and still no native PIM support on their tablet. Are they sitting on their laurels? 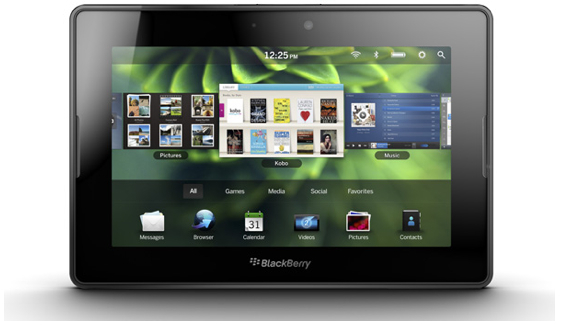 Is it so difficult to wrap a full-function BlackBerry smartphone in a tablet form-factor? The company had a massive opportunity this time last year to take a big piece of the tablet market. Now I see them eating just the leftover crumbs.